For the “BOY” in all of us. 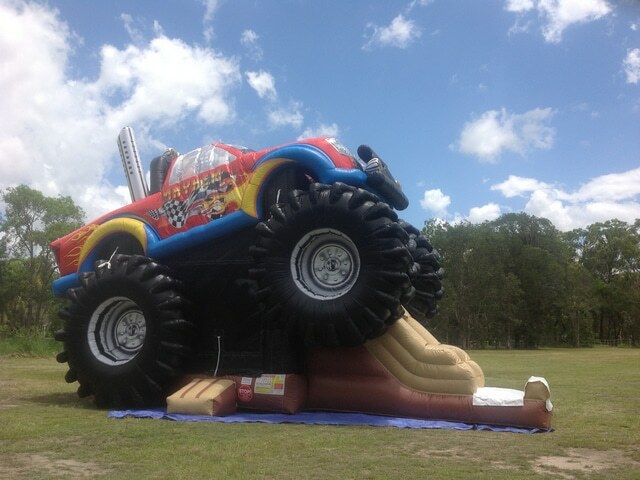 This Monster Truck themed jumping castle/slide includes awesome colourful monster truck markings and massive monster truck tyres. 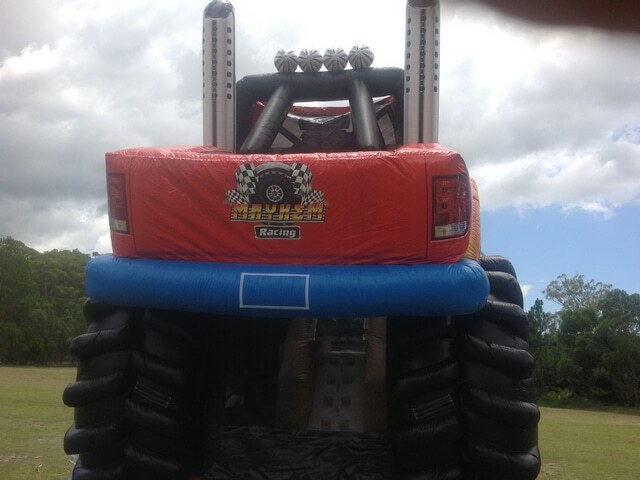 Kids climb up between the back wheels and slide down inside the truck and out the front. Parents can spectate through the mesh windows. 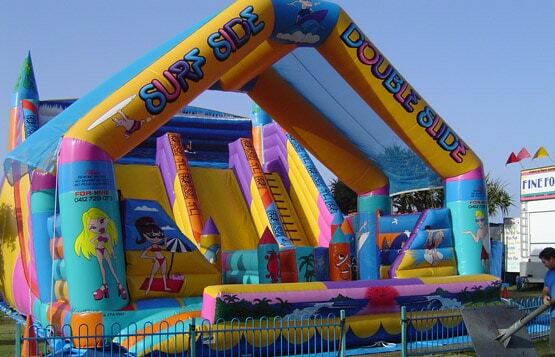 One of the coolest Jumping Castles around, our Surf-side Double lane slide is great for large events. 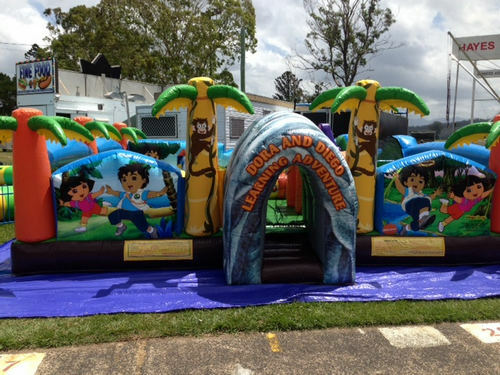 This popular jumping castle is fantastic and has made its way around tons of Brisbane events. 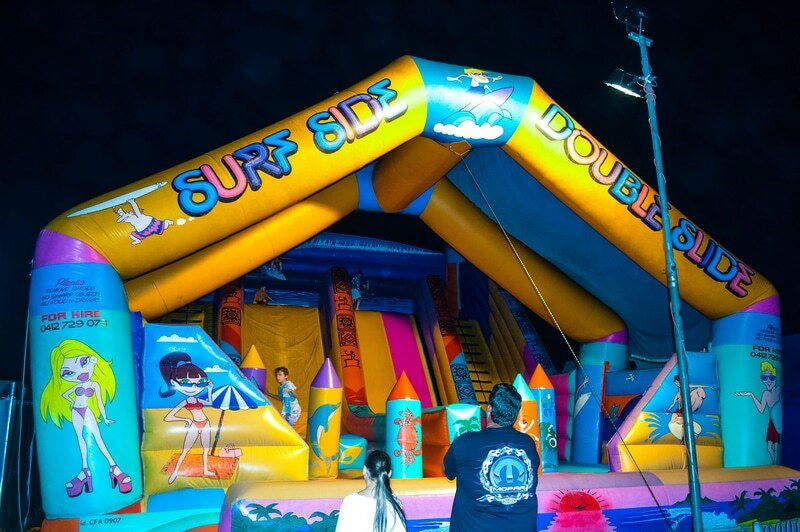 With great colours, surfing characters and sea creatures, this jumping castle is ‘bound’ to keep the kids entertained. Dora, Diego and all of the Explorer crew are ready to learn. 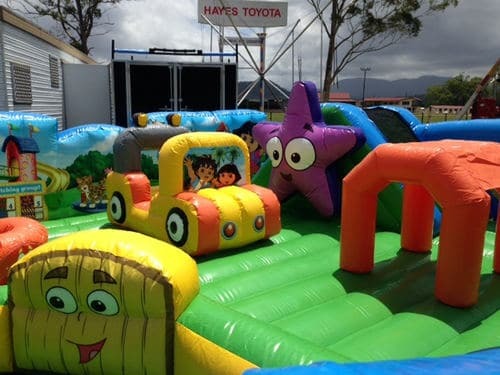 There are tunnels, slides, bollards and an inflatable car for true explorers. Great colours and characters to keep the little ones exploring for ages. 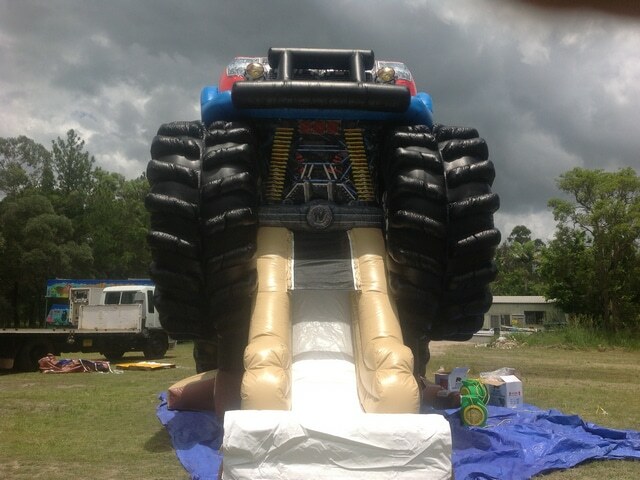 For the very little fun lovers. 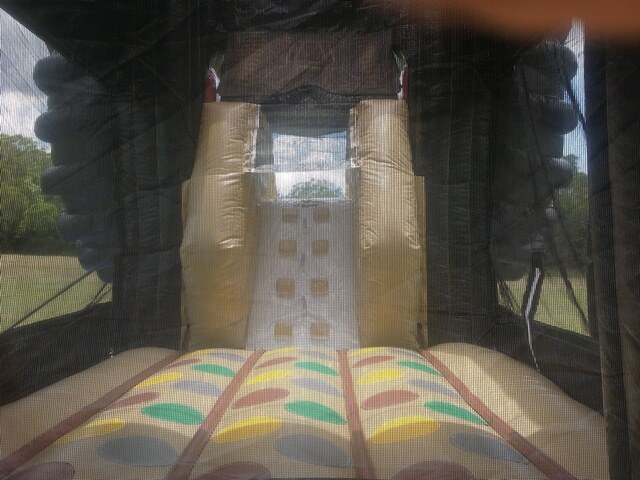 Bounce and jump in the Mickey Mouse Club House. 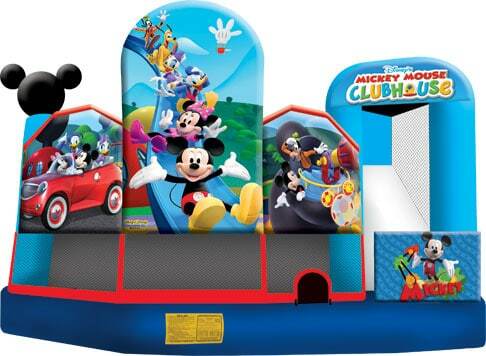 Complete with Mickey and his friends, this small combo jumping castle is perfect for birthday parties and small events.